Pull The Pin: 4 Explosive Metabolic Workouts! Toss a grenade at the end of your workout with a metabolic finisher to boost fat burning and improve conditioning. How do you finish your workout—with a bang or a whimper? Many who follow strict body-part splits will finish by using a single-joint exercise to "burn out" and get a pump. If they&apos;re really on their game, they&apos;ll toss in some cardio—the lower the intensity, the better. That&apos;s the old way, and it works all right. But there&apos;s a new way that works even better. It doesn&apos;t just finish one muscle group; it finishes you. You get the fat-melting benefits of HIIT cardio, plus a drastic boost in muscular and cardiovascular endurance. Don&apos;t worry, you won&apos;t have to give up your pump. If anything, it will be more intense! If you&apos;ve ever felt like you were sweating for hours after a hard workout, you were experiencing what&apos;s known as excess post-exercise oxygen consumption, or EPOC. 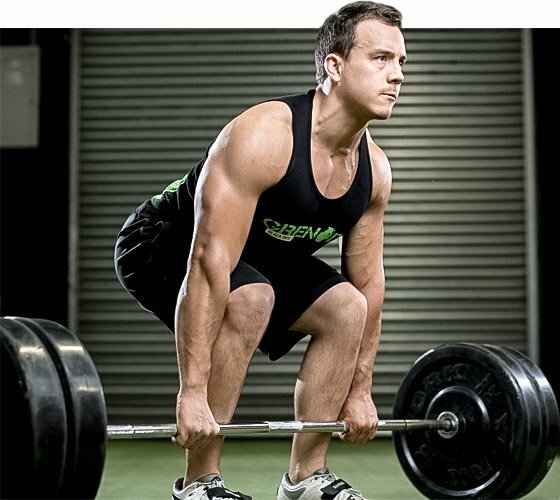 Essentially, a workout that&apos;s high in intensity and engages a larger degree of muscle mass—that part is important!—can elevate your metabolism for about 24 hours afterward.1 But you don&apos;t get benefits anywhere close to that if you&apos;re not training hard, if you&apos;re doing isolation exercises for smaller muscle groups (e.g., burnout sets of curls), or resting too long. You won&apos;t have to give up your pump. If anything, it will be more intense! In a way, these metabolic finishers are a kind of cardio activity with weights. You keep moving and get your heart rate way up, but you&apos;re simply going back and forth between exercises—because, let&apos;s face it, doing 15 minutes of just squats isn&apos;t practical. So if you really, really hate doing cardio, these metabolic finishers can be a really, really effective way to get that EPOC bump without ever stepping foot on a machine. These styles of finishers are currently popular in CrossFit-style workouts, where you string together several exercises, much like a circuit, and do as many rounds as possible for, say, 10-15 minutes. But we&apos;re going to make some adaptations so that you can get many of the benefits—higher calories burned, greater cardiorespiratory effect, improved muscular strength and endurance, better pump—with exercise you can do in pretty much any gym. Athletes have been doing barbell and dumbbell complexes for decades. Strictly defined, these are routines where the bar never leaves your hands. 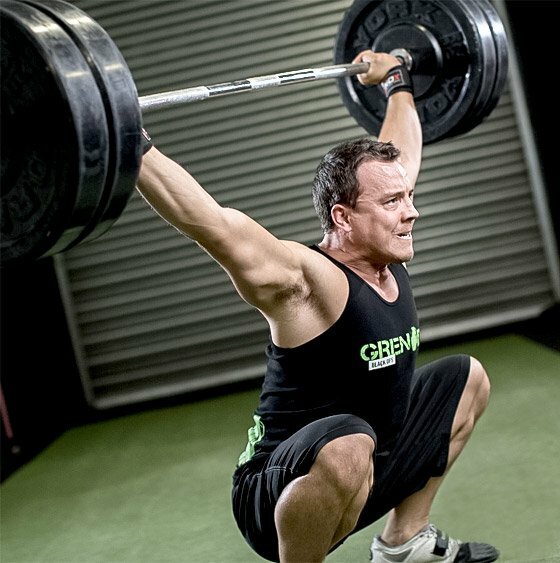 However, the problem is that many of the movements in typical barbell complexes—such as hang cleans and snatches—are very difficult for beginners, or even many intermediates. If you&apos;re not familiar with how to maintain form on technique-intensive moves—especially when fatigued—you&apos;re going to crumple fast. That&apos;s when an injury can strike. So we&apos;re going to lay out some easier complexes that will allow you to easily make substitutions and do more rounds. That may mean putting the bar down or even taking a short rest to catch your breath, but you can always reconstruct such routines as you improve over time to make them more difficult. It&apos;s better to err on the easy side when just starting out—but remember, the easier it is, the more quality work you&apos;ll be able to do. So that might actually make it harder, at least at first! These are routines where the bar never leaves your hands. Four Implements, Four Complexes, One Result: Exhaustion! Include at least two exercises that target the day&apos;s body part (in this case, the pecs). Include some multijoint exercises that focus on other muscle groups, and especially movements that target the largest degree of muscle mass to get the most bang for your buck. Did someone say squats? Alternate upper- and lower-body exercises when possible. When choosing a weight, don&apos;t train in your normal 8-12-rep range, which would quickly gas you. Instead, choose a lighter weight, because you need it to work for your weakest lift in the series in addition to your strongest. You&apos;re using the same weight for all exercises so you won&apos;t have to make plate changes—and slow down your workout—between sets. Perform as many rounds as possible in 15 minutes. Rest as little as possible between movements. Depending on the body part you&apos;re training, you can easily substitute other moves, including upright rows, bent-over rows, reverse-grip rows, front squats, Romanian deadlifts, close-grip bench presses, and deadlifts. Though it&apos;s more effective with larger muscle groups, you could even include skullcrushers and barbell curls for arm work as well. Simply link 4-5 exercises and do them in order, keeping rest breaks as short as possible and repeating for 10-15 minutes. While this barbell complex derivative can be done at the end of your regular workout, it can also be done as a separate, fast-paced conditioning workout. When done as a stand-alone, you can adjust the exercises, weight, and length a bit more depending on your goals. Theoretically there are hundreds of combinations you could be doing, linking exercises back to back to achieve the cardiovascular, calorie-burning, and fitness-boosting benefits. Here are a few more to get your creative juices flowing. Remember, it&apos;s not practical to hold down several pieces of gym equipment at once, so arrange such complexes with bodyweight exercises and basic pieces of equipment. Perform as many rounds as possible in 15 minutes. Rest as little as possible between movements. Use a weighted vest if necessary to increase the resistance. Alternate movements for 15 minutes. Rest as little as possible between movements. Use a weight on the leg press that equals your 1RM max back squat. Perform as many rounds as possible for 15 minutes. Rest as little as possible between movements. Use a weight that corresponds to your 12RM. If the weights begins to feel too heavy—or, more likely, your shoulders start to burn—reduce the weight by lowering the pin by one plate and continue on. Check out Grenade&apos;s complete supplement lineup! Don&apos;t let the holidays spell diet demise. Feed your sweet tooth—and your gains—with these 5 explosively delicious recipes from the athletes of Grenade! Boost your fat-burning power with these pro tips from Team Grenade! Take your body to a new thermal level. Think you&apos;ve got what it takes to hang with the ripped athletes of Team Grenade? Test yourself with this grueling boot camp workout!